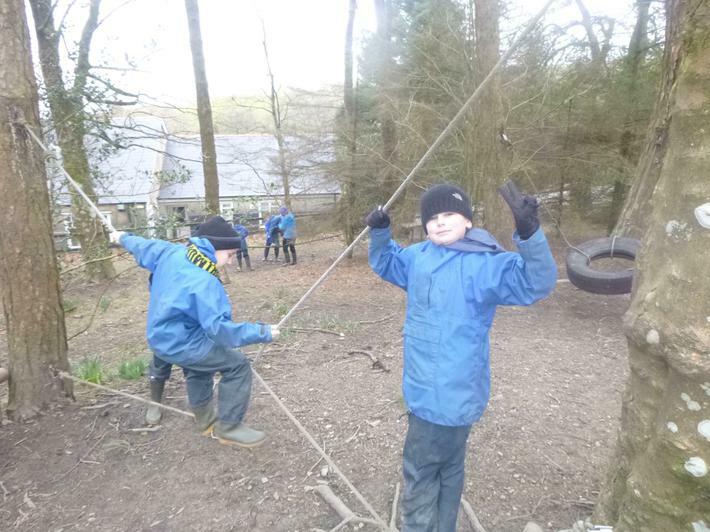 We arrived safely at Yenworthy Lodge around lunchtime. 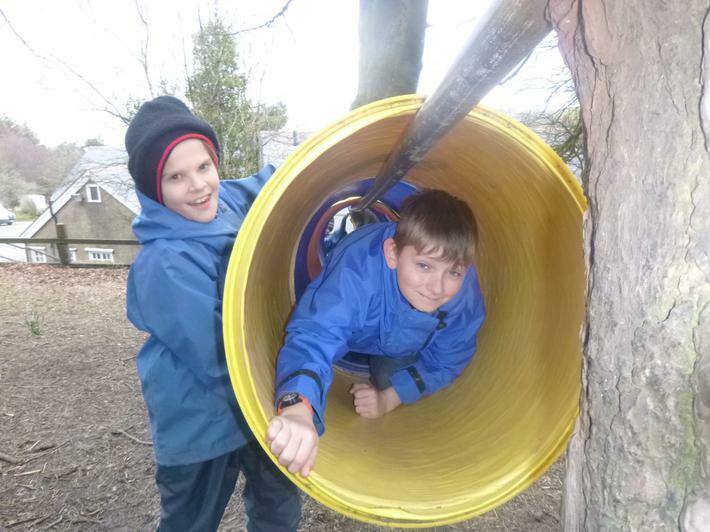 Following lunch on the terrace, kit was collected, beds were made and suitcases unpacked. 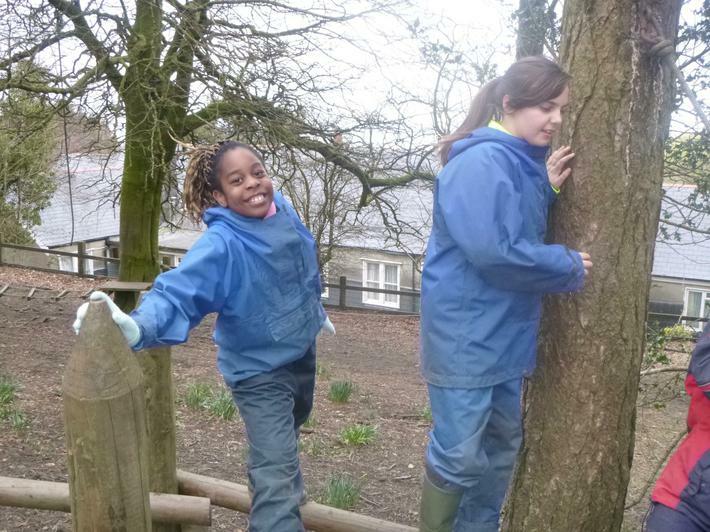 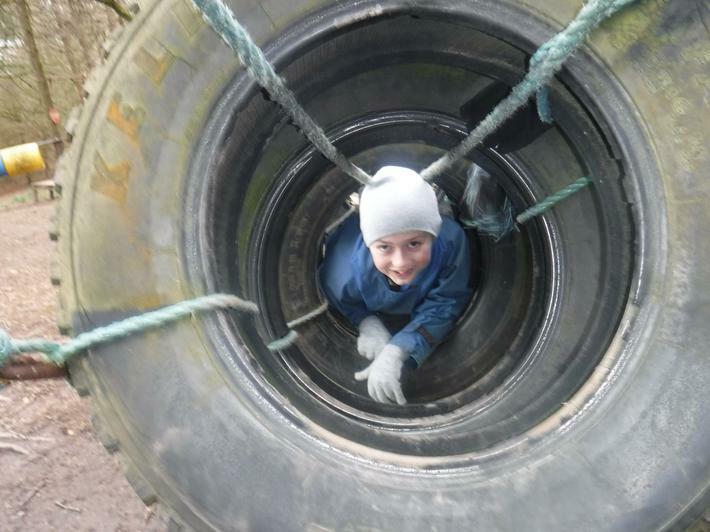 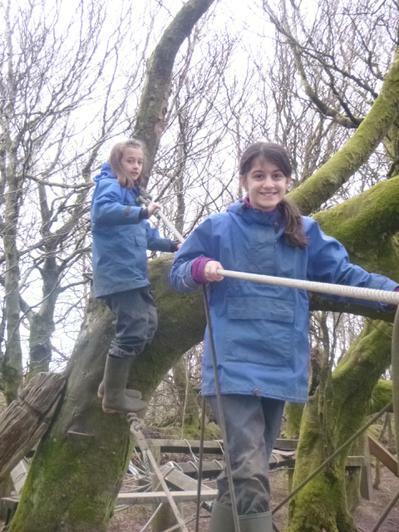 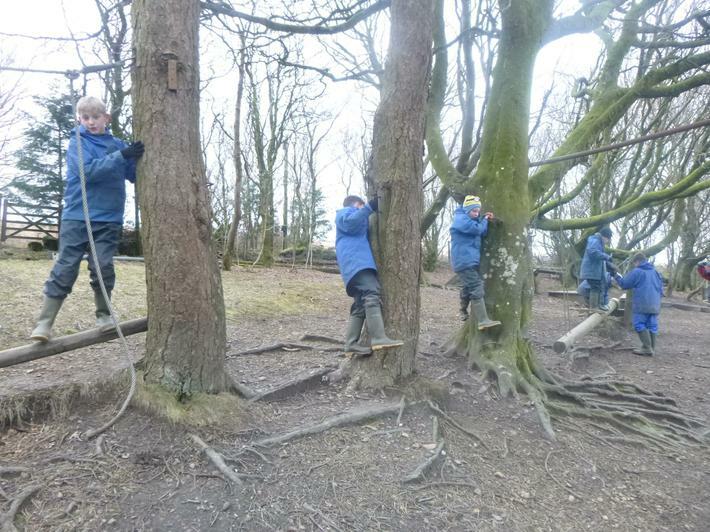 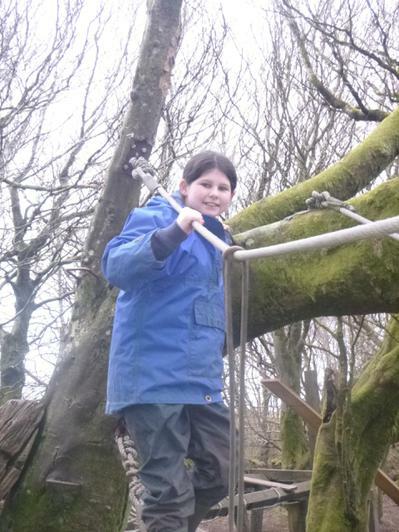 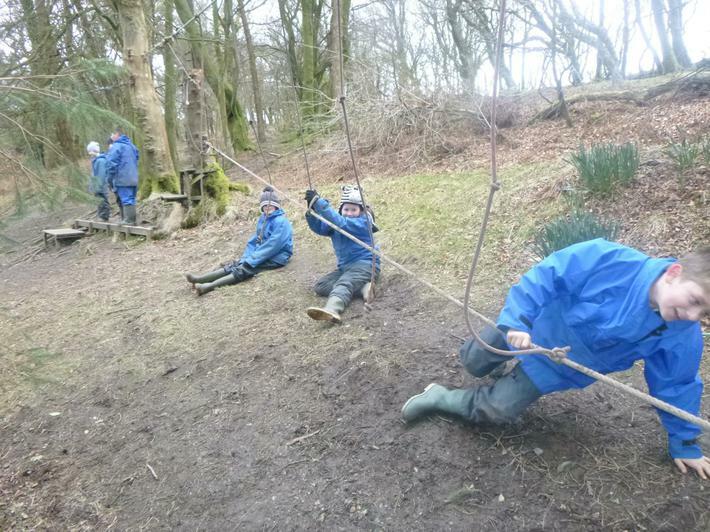 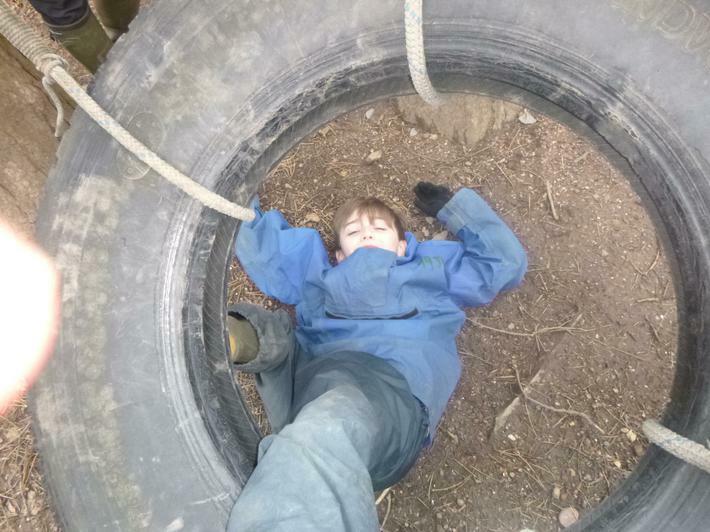 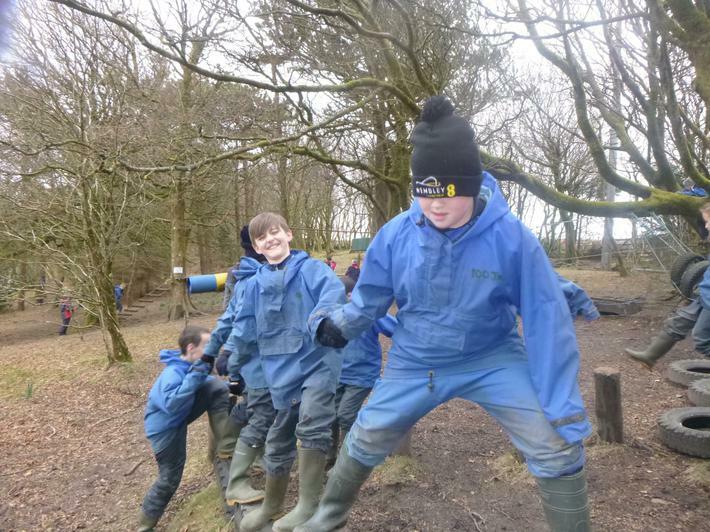 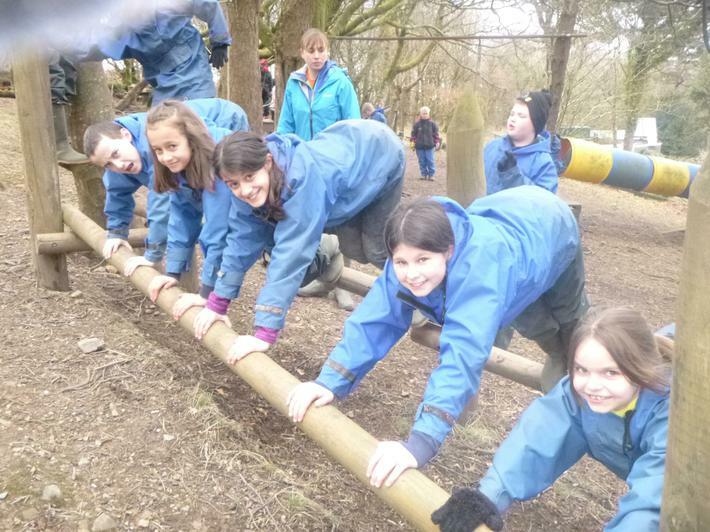 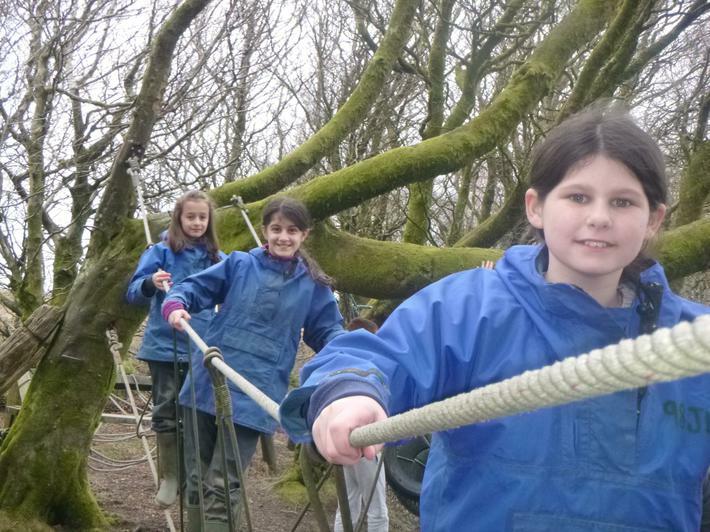 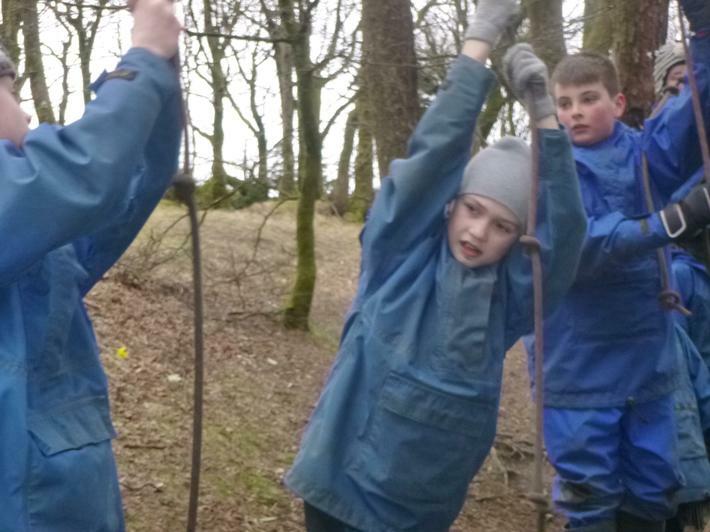 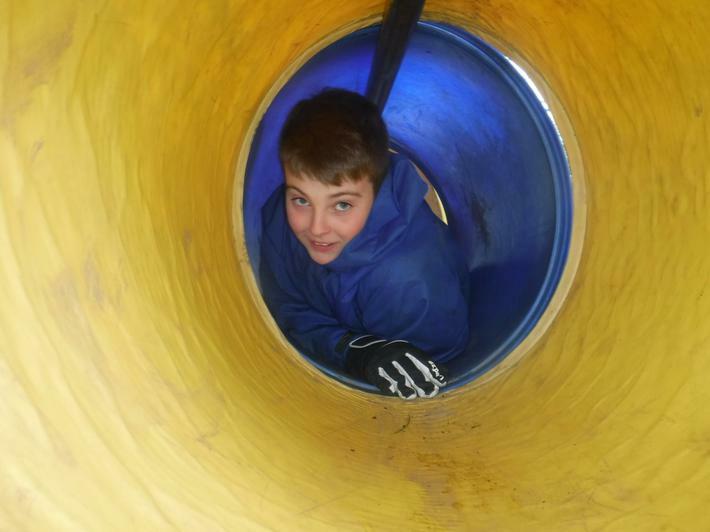 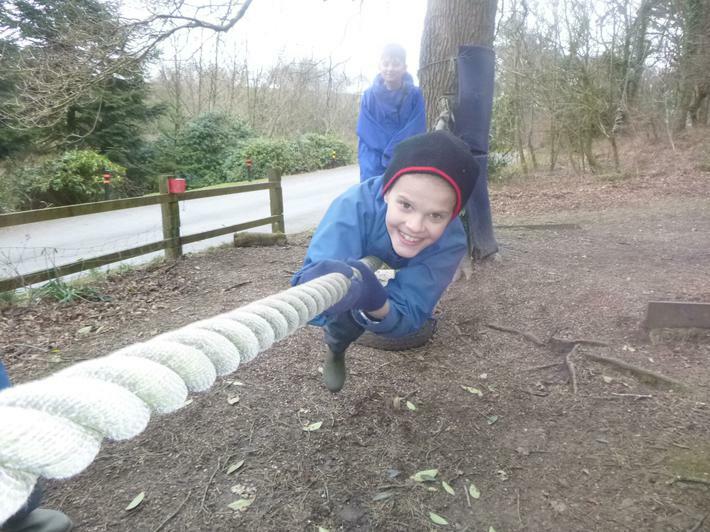 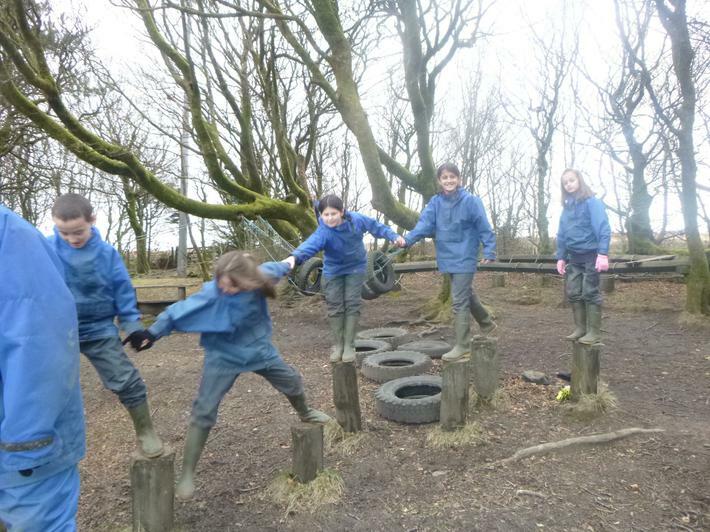 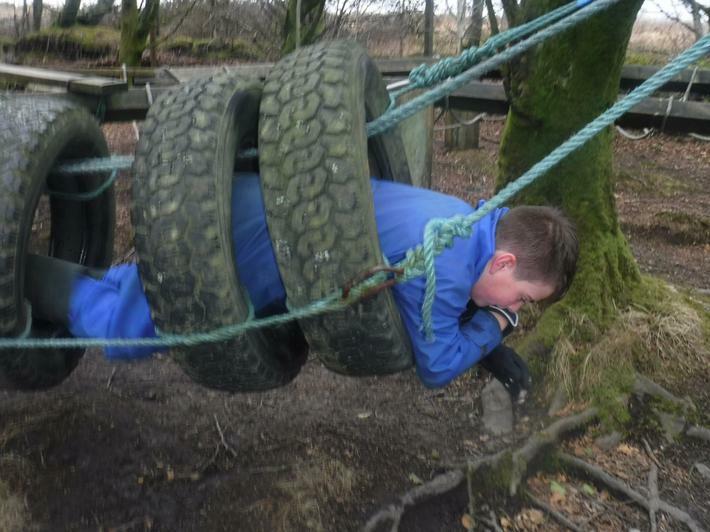 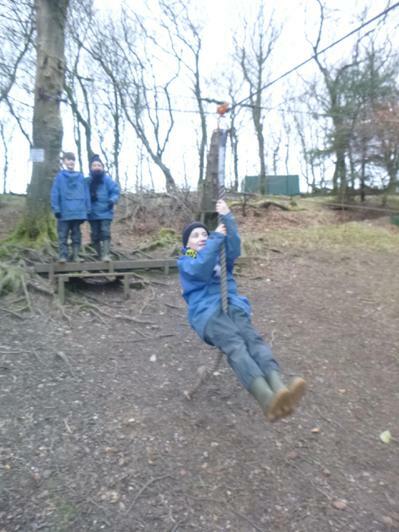 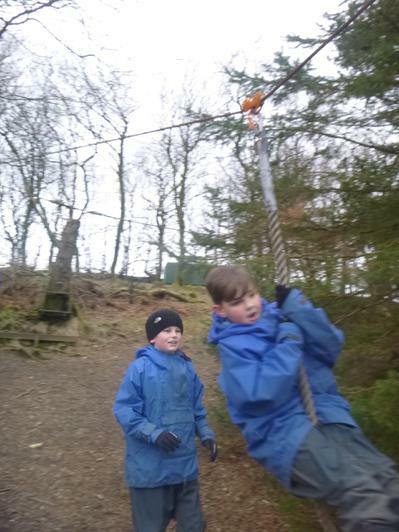 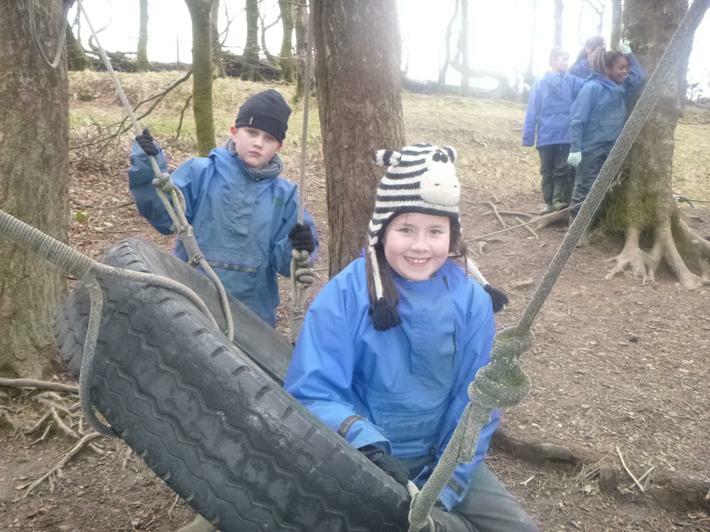 The first activity was the 'Ropes Course' in the Yenworthy grounds - fun was had by all. 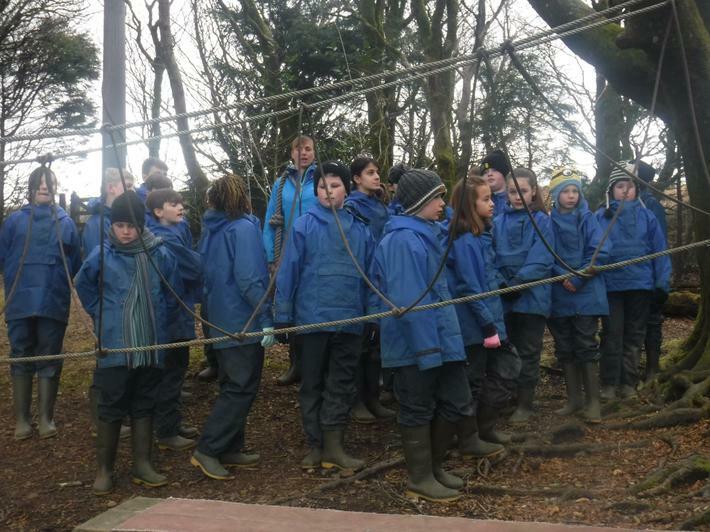 By 5.30pm everyone was ready for dinner - Chicken Curry followed by Raspberry Meringue Nests. 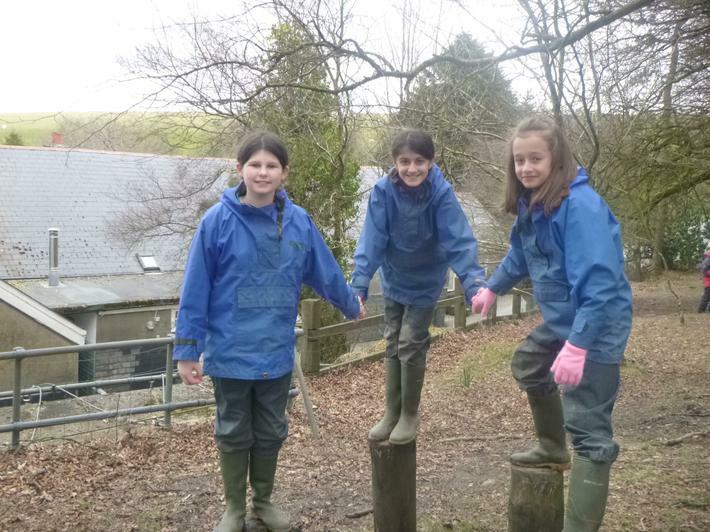 After eating, we walked across the moors as it started to get dark. 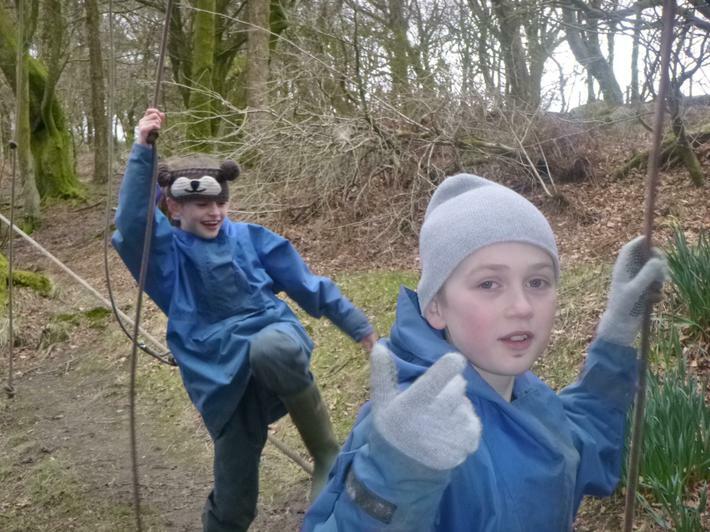 They are busy writing postcards home as I update the website - look out for the postman!